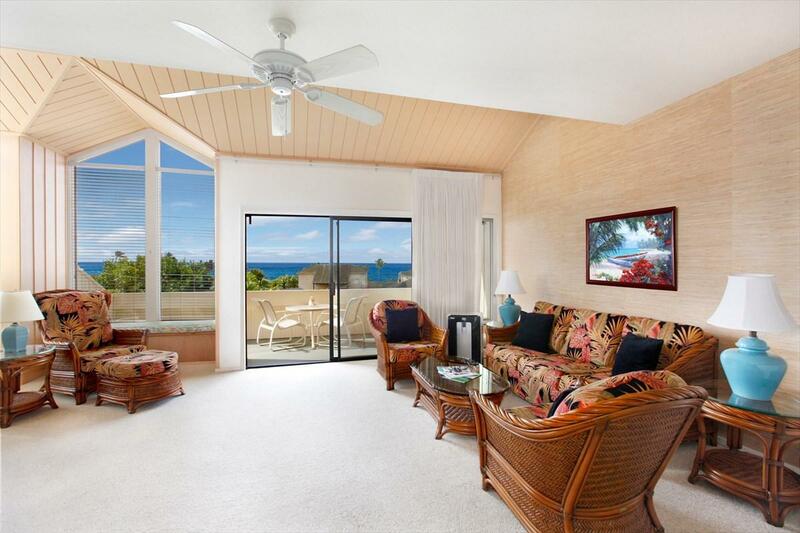 2371 Hoohu Rd, Koloa, HI 96756 (MLS #614992) :: Aloha Kona Realty, Inc.
A flagship property located at the western end of the greenbelt walkway of the Poipu Kai Resort affords breathtaking sunsets and the splendor of the Poipu Coastline waters. 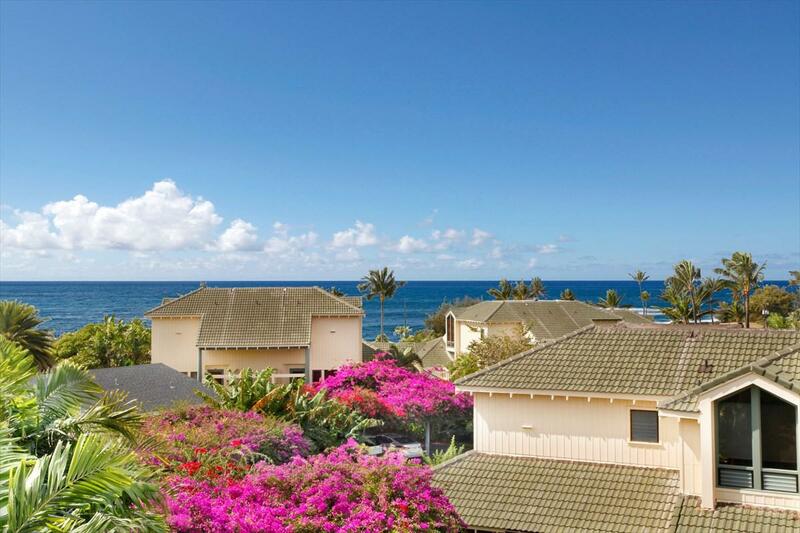 Manualoha #505 is perched high above the crowd with blue Pacific views framed by vibrant splashes of color from the bouganvillea canopy that graces the lanscape. The unit floor plan is the most popular two-level plan and is situated on the second/third floor of the three storey building. The bedroom areas are below for cool evening comfort. 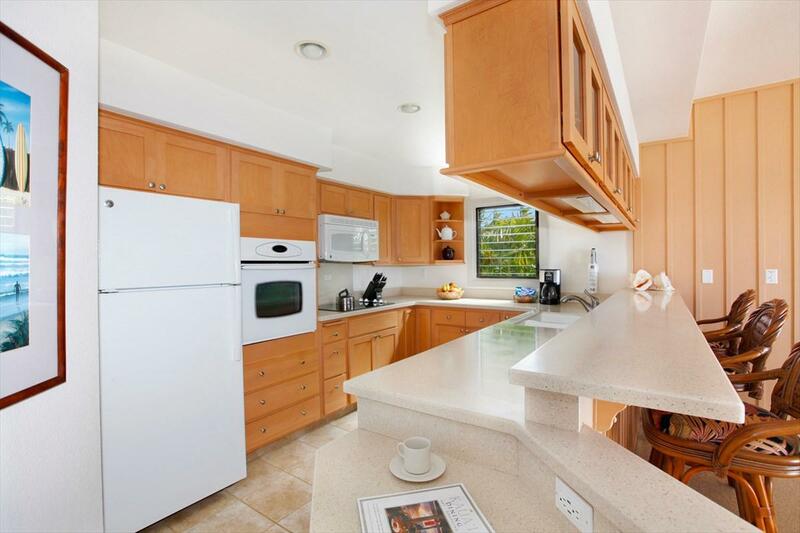 The living room and kitchen facilities are located above, to best enjoy the views. Unlike many bi-level floor plans in other resorts this unit thoughtfully includes a half bath powder room on the living level...a rare convenience. 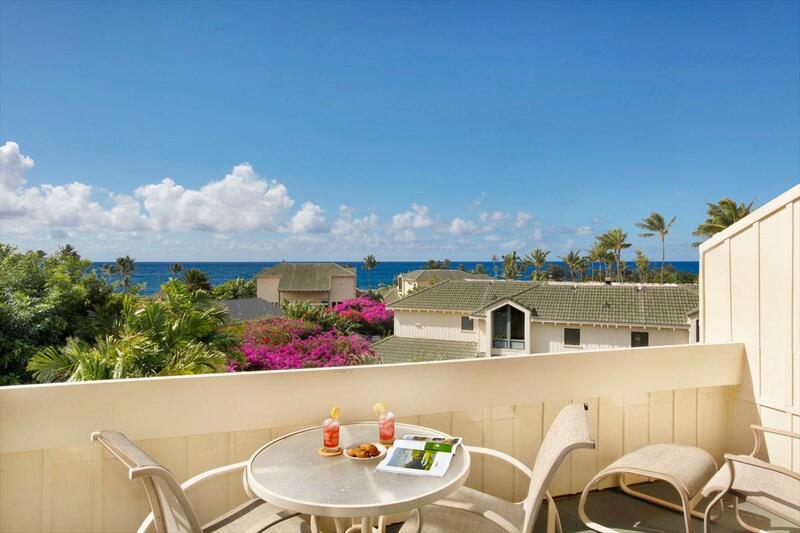 Manualoha is a stylish project which was built several decades ago and while one might think it could easily feel older and dated, the association has been committed to its upkeep and maintenance over the years and the condition of the grounds and buildings feel much newer than one might think. Along with updated interiors you get the best of all worlds! If one enjoys morning or evening walks without dodging vehicles, if you might enjoy a leisurely stroll for your evening dining or happy hour, or would simply like to throw your towel over your shoulder and walk to the beach, this property should be incuded in your search.